Heads up Starbucks fans! 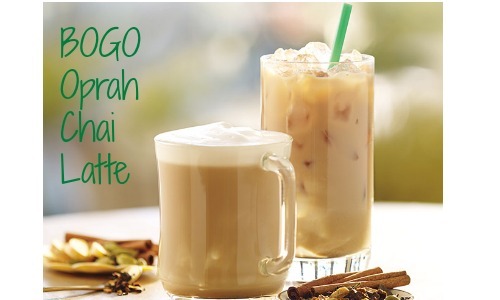 You can get B1G1 Teavana Oprah Cinnamon Chai Lattes on 4/9 to 4/11 from 2-5 pm at participating Starbucks. For every cup, Starbucks will donate 25¢ to support youth education! There is no coupon need, just head to the store and enjoy! Starbucks can be pricey, but it doesn’t have to be. Take advantage of BOGO offers like this one to save on a yummy treat.